I bet you’re thinking, “Who’s this Dean Jackson bloke?” Well, he was mentioned back on episode 14, as our recommended podcast that week. Dean Jackson is just plain brilliant. He is inspiring, but his specialty is email. In fact, he’s thought to have invented the squeeze page for all you marketers who know what a squeeze page is. If you don’t, just Google it. 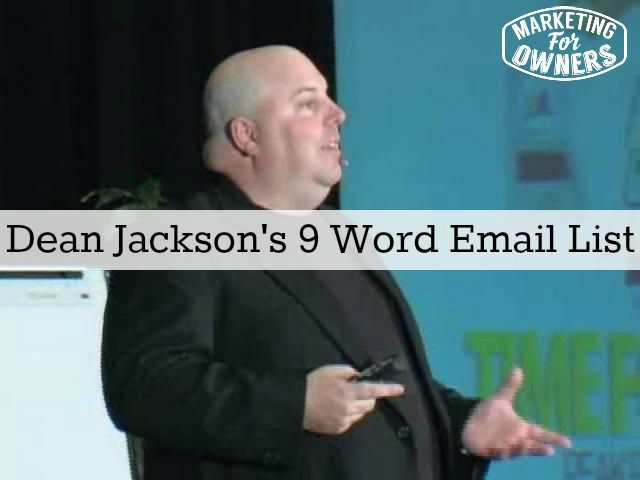 Dean Jackson is the originator of it and that has been a mainstay of online marketing ever since. Now let’s talk about The nine-word email– what this does is it reinvigorates what are called dead leads. Sometimes, you have people on your email list that aren’t responding or that you haven’t contacted in a long time. So, what Dean proposes is you send them a nine-word email. Now, you have to be very strict with yourself here because you will be tempted to add more to it, but you don’t. The subject line will be something like, “Jon”. That is it. Just Jon. Do you get it? Right, now, you’re going to think “What comes after that?” Nothing. That’s it. No kind regards. This email was intended for the recipients only and trademarks and so on. What that does is boost your response rate. Send that to people you haven’t heard of that are on your list for a couple of years. If you don’t get a reply, you know they’re done. That’s it. It’s dead. But, what you’ll find is that people feel this is a personal email. In fact, it is a personal email because it’s just direct to them, but it’s different than what people get every day. And you will get replies. You’ll get a lot of replies from people saying, “Thanks for getting in touch. No, I’ve got it all sorted. It’s all done,” etcetera. etcetera. But with some, you’ll find they may still be interested, and they just weren’t interested at the time. They weren’t ready to buy, but they are still in the market, or better still, they’re in the market for something else that you do. You’ve reminded them who you are. You’ve piqued their interest. You’ve got a conversation started. That’s what’s important. You start a conversation. Now, quite a few of these replies will come back with something that you can get in touch with them about, and then, you’ve got the opportunity to reinvigorate that lead and that person. It’s very, very clever. It’s free. Don’t overdo it. Don’t adjust it. It’s tested. There’s a way it works. It’s Monday which means it is time for a book recommendation. 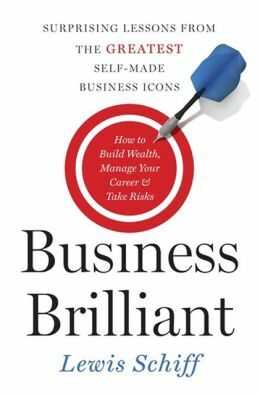 Today’s book is called Business Brilliant. It’s by Lewis Schiff. Those you need to learn, and you need to copy, so go get the book, read it. It will help, and that’s what you need. That’s what I need. I’ll speak to you tomorrow. What customers do you need to send a 9 word email to?